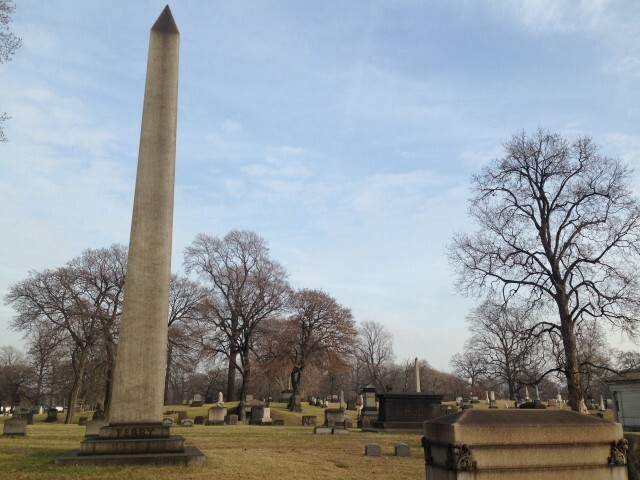 This post is part of my quest to visit every cemetery in Detroit, but it’s also a vehicle for an exciting announcement: On Saturday, May 30, I’m so thrilled to host an Obscura Day tour of Woodmere Cemetery, co-led by Gail Hershenzon, author of Detroit’s Woodmere Cemetery. 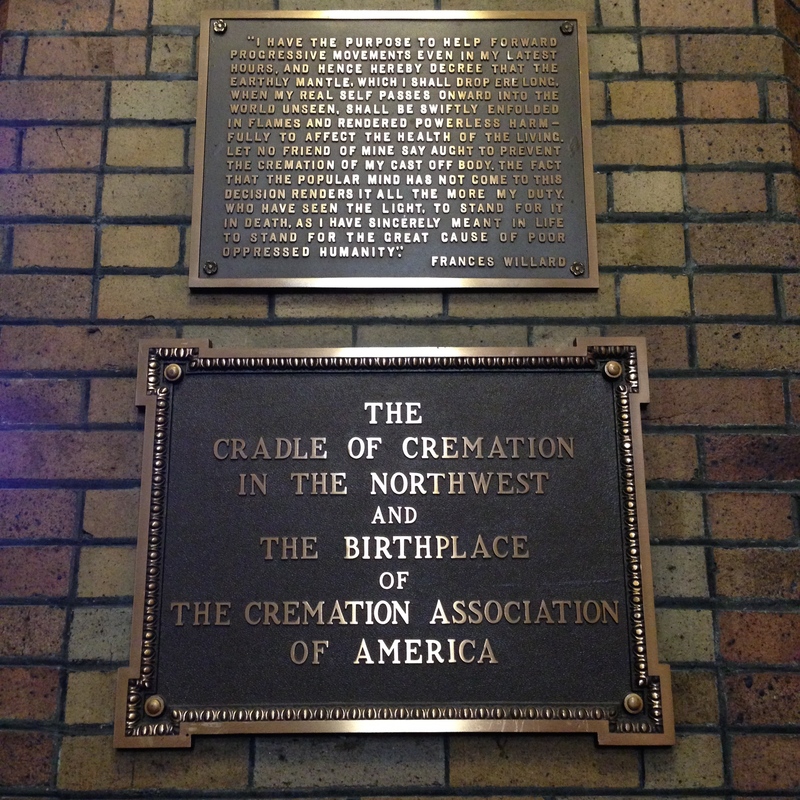 The tour will focus on Woodmere’s significant role in the history of cremation in America. You can buy your tickets here. Obscura Day ahoy! The vicinity of Detroit has but little of the wild or picturesque in its natural scenery — but little even of rich variety. Our noble river is the one great feature in the landscape. We have no mountains, no deep ravines, no rocks or waterfalls, and in the absence of these striking features we are apt to overlook the many beauties nature has spread with so lavish a hand all around us. 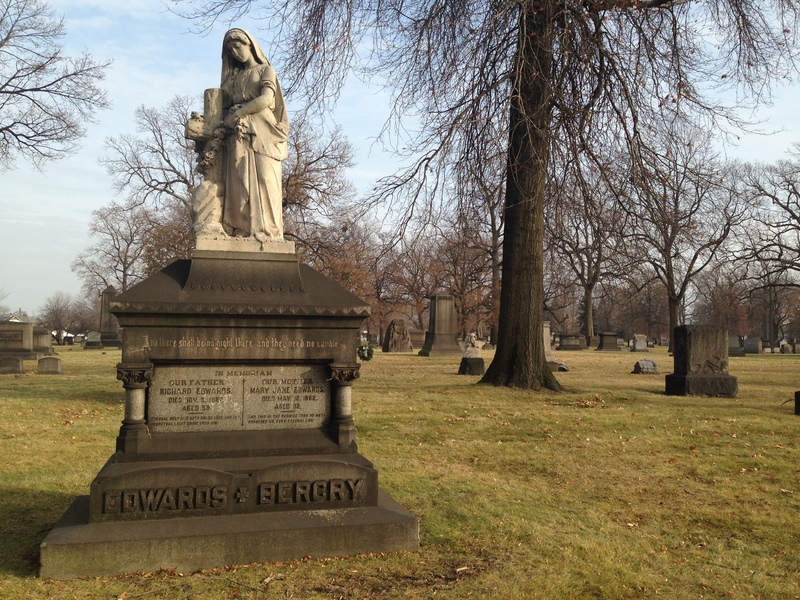 Many of you, even those who thought themselves familiar with the suburbs of our city, will, I think, be surprised that a spot could be found so near that combined so many elements which peculiarly fit it for a large and beautiful cemetery. From the very inception of Woodmere Cemetery it has been the aim and ideal to exclude all that is morbid and depressing and provide a beautiful resting place for those who sleep. The symbol of Woodmere is hope and life, not grief and death. Two women at Woodmere Cemetery. 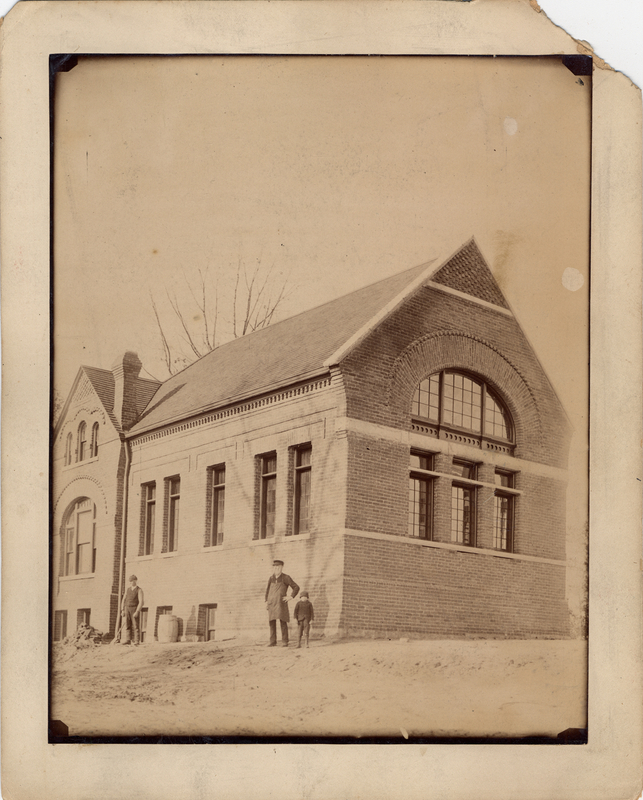 Photo via the Detroit Public Library Digital Collections. 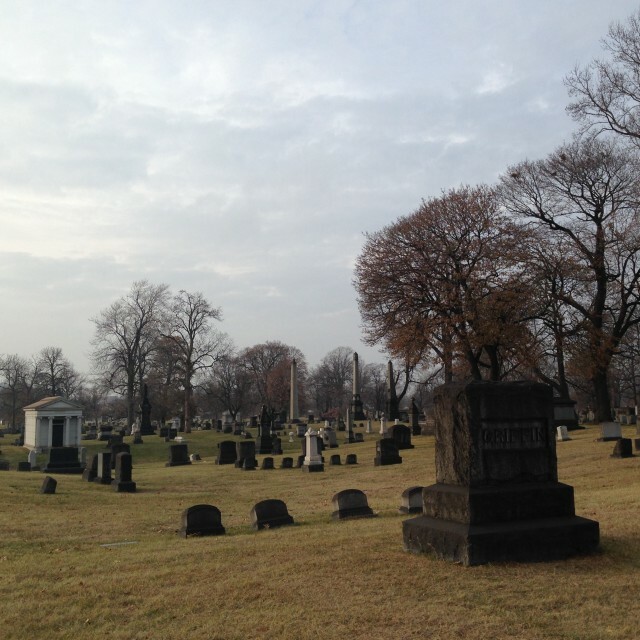 Woodmere’s far-awayness didn’t last very long, and by the end of the 1800s, industry and urban encroachment were part of the cemetery’s identity. (Today, you can stand atop its rolling hills and gaze upon smokestacks and smelters of the Ford Rouge plant.) 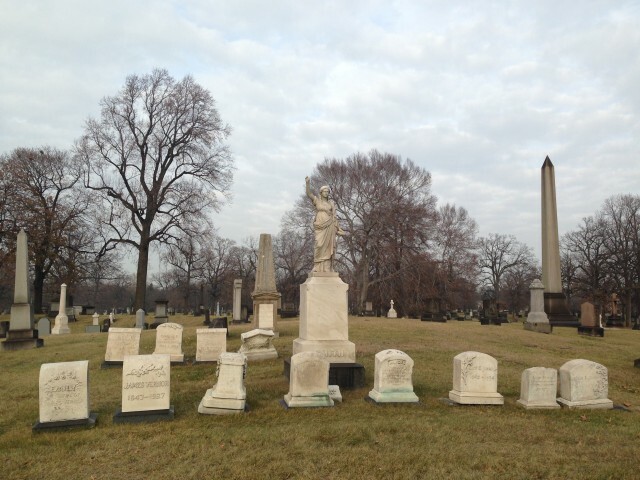 But this set the stage for Woodmere to play a supporting role in a curious, rarely-discussed chapter of cemetery history: Woodmere is an important site in the history of cremation as a widely-accepted American burial tradition. The original Detroit Crematorium, under construction in 1886. Via the Detroit Public Library. 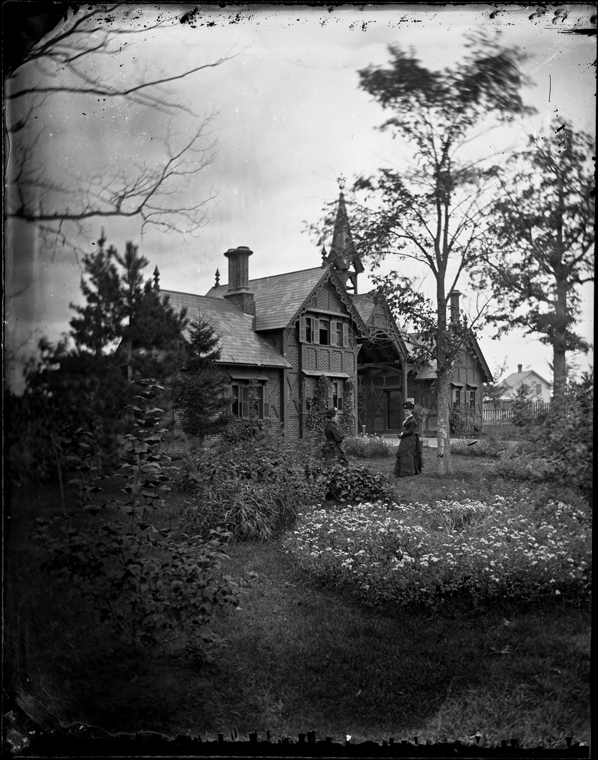 Not long ago the Detroit Evening News declared that the wells in the neighborhood of Woodmere Cemetery do not catch the rainwater until after it has been filtered through the thousands of graves in the cemetery, filled with decaying bodies, and that no water is obtained in the vicinity which is not discolored and has a brackish taste. After a heavy rain the impurities are most pronounced. The residents of Woodmere have long ago given over the use of water as a beverage. I do not blame them. I would not like to drink fluid extracted of dead man myself. 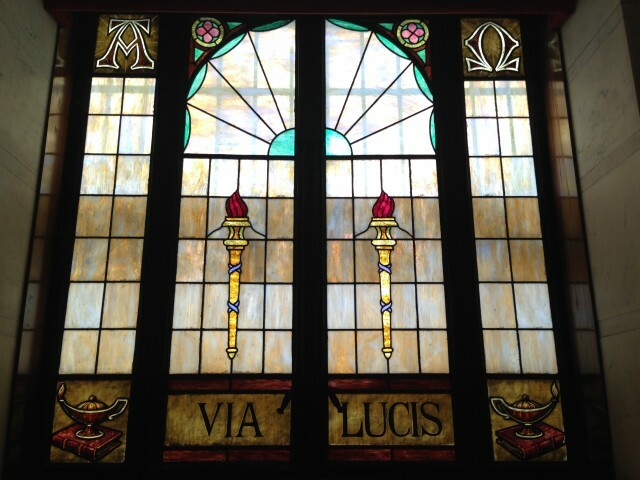 In 1929, the Detroit Crematorium closed its doors, and the columbarium was moved (under Erichsen’s supervision) to Woodmere’s chapel, designed by Donaldson & Meier in 1914. It’s still there today, waiting for you to drop by and visit. 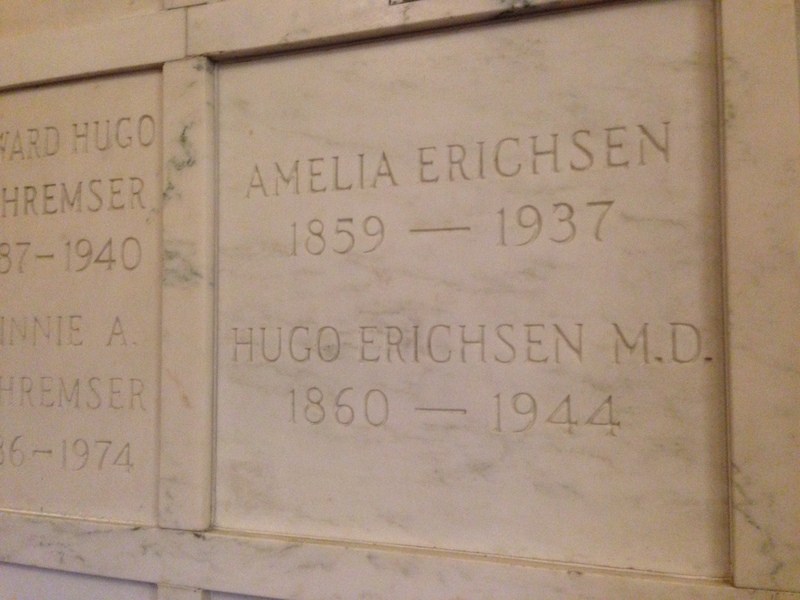 So is Dr. Erichsen, who died in 1944, and whose cremains were interred in the columbarium. 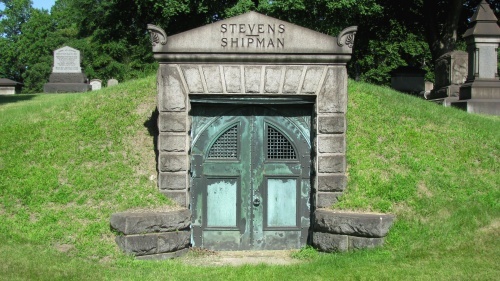 To get the rest of this cemetery’s propers out of the way: I first visited Woodmere five years ago (I can’t believe I’ve been working on this blog for five years! ), and I’ve been back many times since, on my own and with tour groups. It’s the best place to get acquainted with Detroit’s pre-automotive captains of industry, including Dexter Mason Ferry (my fave lately), Hamilton Carhartt (yes, that Carhartt), tavern keeper Conrad Ten Eyck, frontiersman and Two-Way Inn founder Philetus Norris, lumber baron David Whitney, tobacco entrepreneurs John Judson Bagley and Daniel Scotten — both of whom were founding trustees of the cemetery — and James Vernor, civil servant and creator of Vernor’s, the ginger-ale. Victims of the 1932 Ford Hunger March* are also buried at Woodmere. 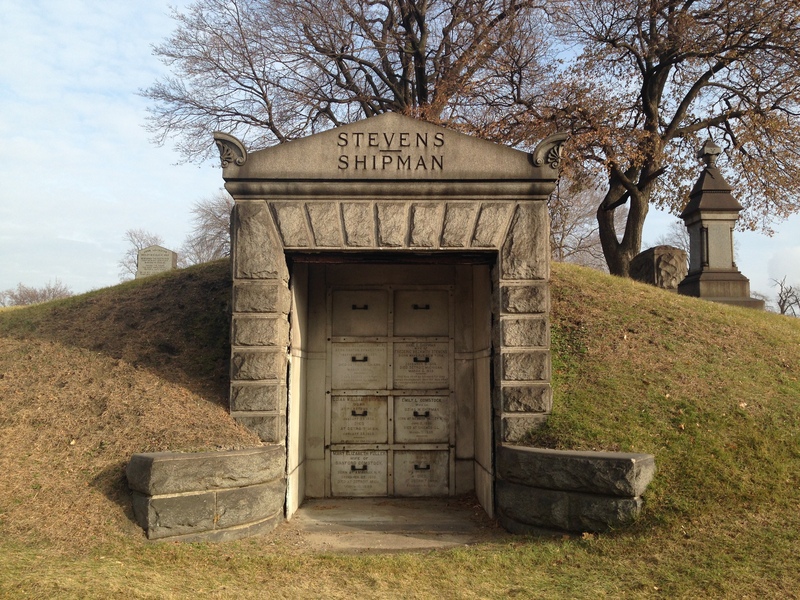 Hopefully this is a temporary blight on a cemetery with a long, noble, and exceptionally beautiful history. Once again, tickets for the Obscura Day tour on May 30 are here. I hope you’ll join us! *There’s some conflicting information about a fifth Hunger March victim, Curtis Williams, who died a few months after the march, possibly from injuries he incurred that day. It is widely believed that Williams was not allowed to be buried with the other Hunger March victims because he was black, but Hershenzon disputes this. 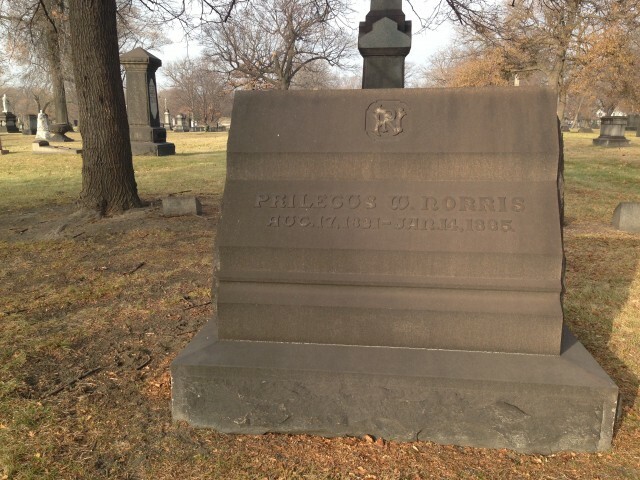 Cemetery records exist for black burials dating all the way to the cemetery’s founding, and Williams was cremated at Woodmere. It seems strange to me that he’d be allowed to be cremated but not interred there. One source says that his ashes were transferred to the care of Charles Diggs, a prominent black funeral director and founder of Detroit Memorial Park, which was organized to serve Detroit’s growing black population and give them an alternative to what may have been systemic racism if not official segregation — bad service, rip-off pricing, or whatever. It’s also unclear what happened to Williams’ ashes, although one “people say” story goes that his ashes were scattered over Woodmere from a plane. I’m not sure what to make of any of this — it seems to me that just because a cemetery was always integrated doesn’t mean it couldn’t have made a racist decision based on contemporary unrest, shifting social currents, or plain old bad leadership. But my efforts to find an original source for Williams’ refused burial have stalled, at least for now. If anyone has any leads or sources about this, please get in touch! My Grandparents, Aunts, and Uncles are buried there and been going there since the 50’s and still enjoy to pay my respects to my family. 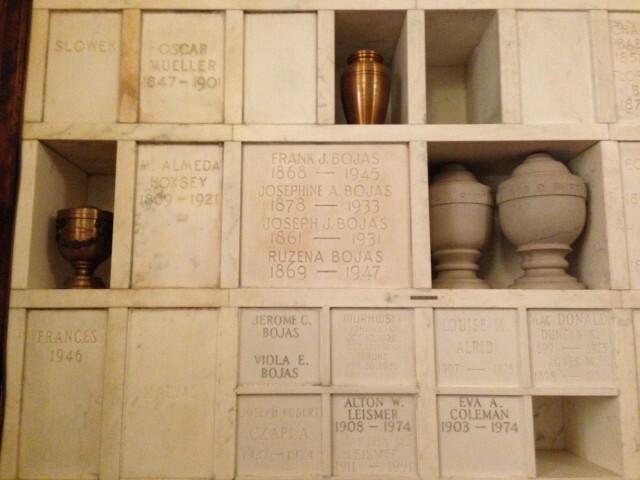 My entire family is buried in Woodmere…and, yes, I learned to drive there, too! I grew up on avis st the cemetery was a beautiful place to walk through. 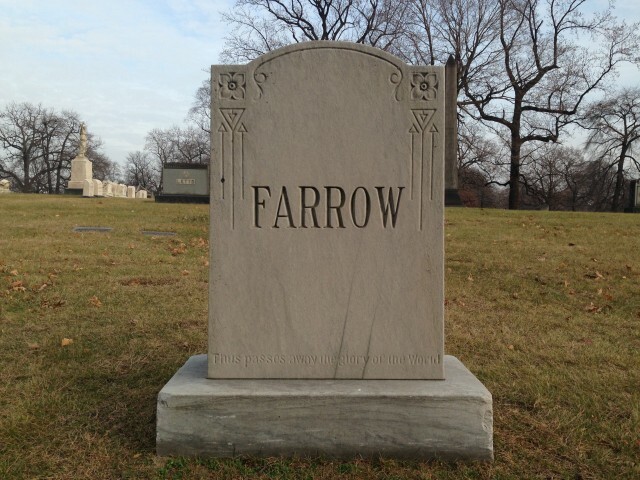 Most of my family is buried there. Buy the book as it is very interesting reading. I too remember going there for memorial day while at Higgins school.